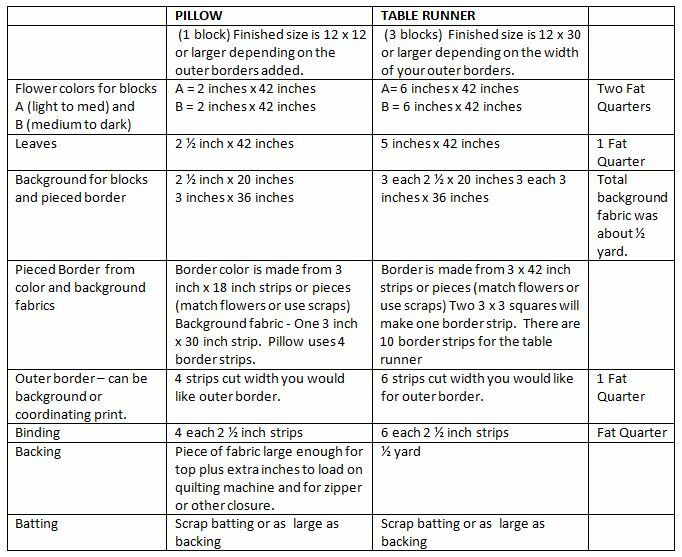 This is a hands on class to learn how to do paper piecing when making either a pillow or table runner using the Pieces of Spring pattern designed by Janet F. Major. Paper Piecing is like doing paint by number but with fabric. It is a low stress method used for precise piecing. 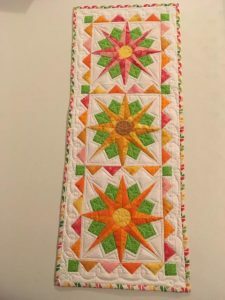 You will learn how to apply fabric to the paper foundation, connect multiple sections to make blocks, uses in borders, etc. 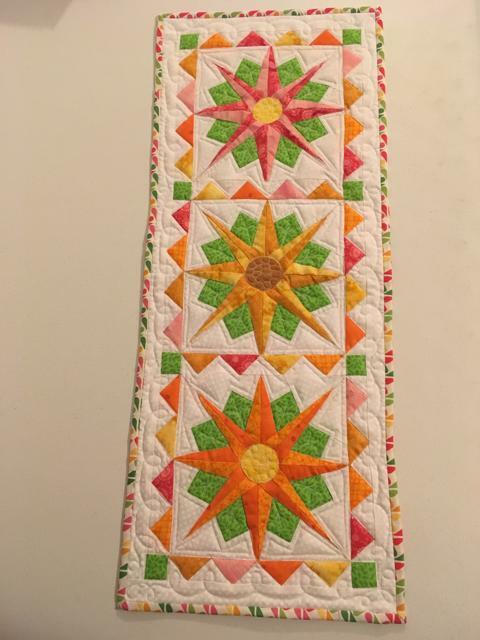 Paper piecing is a great way to use up scraps. 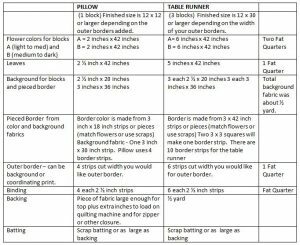 Use one block with four border pieces to make a pillow or use three blocks to make a runner.